We offer you affordable price for the best location in town! You can sleep and hang out in our AdHoc Hostel from 15.50 € per night. Dear traveller, welcome to the AdHoc Hostel! Enjoy beautiful Ljubljana from the very heart of the Old Town for an affordable price. Many attractions are just a step away from our AdHoc Hostel. We are a group of enthusiasts who like to travel and meet new people. We wish our guests to feel comfortable and to have an enjoyable experience visiting Ljubljana. If you want to stay in the heart of Ljubljana and see its attractions, enjoy its night-life and visit its restaurants and shops, our staff can give you the best information. After a long and exciting day or night, you can get some good rest in our comfortable beds. Whether you stay in an 8-bed dorm, a private room with 4 beds or a double room, you will get a cosy hostel atmosphere for affordable prices. In 2014 AdHoc Hostel has won a great 2nd place in Best Ljubljana Accomodation competition held by In Your Pocket City Guide website. AdHoc Hostel offers 100 beds in 17 rooms - ideal for big groups, students and travelers on a budget. For travellers who travel as a couple or alone and want more privacy, we suggest double rooms. Each room has a double bed, reading lights, a closet and a night stand. 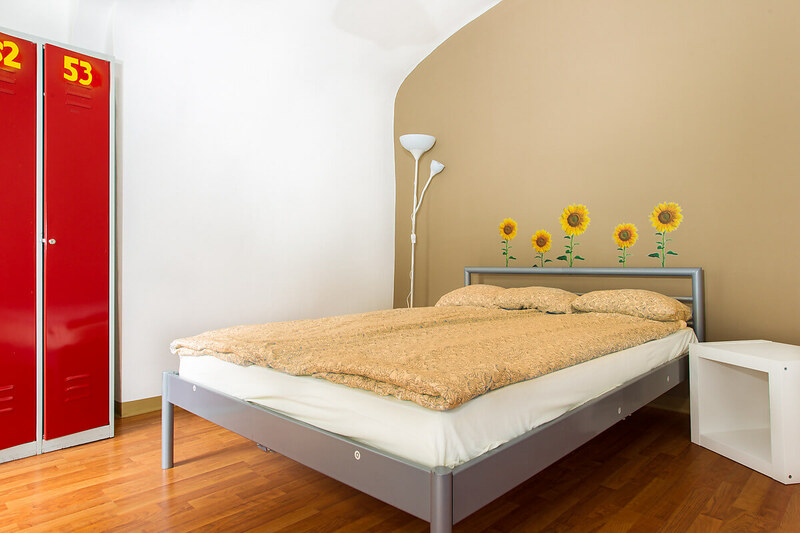 If you are a group of four and you want to sleep in a private room, we can offer you our private four-bed rooms. The rooms are equipped with a bunk bed and a double bed, reading lights, a closet and a night stand. If you're travelling alone or in a group, if you want to hang out with other travellers and if you want the cheapest accommodation, we suggest that you book a bed in an eight- bed dorm. Each room has four bunk beds, lockers to store your luggage or valuables, a table and chairs. Be the first to hear about special offers and exclusive deals from AdHoc Hostel and our partners.